As a Gemstone collector, investing in rare, top-grade gems is my priority. I like to share my passion for extraordinary stones with you. Some of the unique items here shown beneath are used in one of a kind objects, others are chosen to complete private collections. Whether you are looking for a beautiful aquamarine, morganite or other beryl, a tsavorite, demantoid - or mandarin garnet, tanzanite, opal, spinel, rubellite or special tourmalines, you will find them with us. From Namibia to Mozambique, from the Kilimanjaro, to the jungles of Asia, we’ve brought things of beauty from the ends of the earth, directly to you. 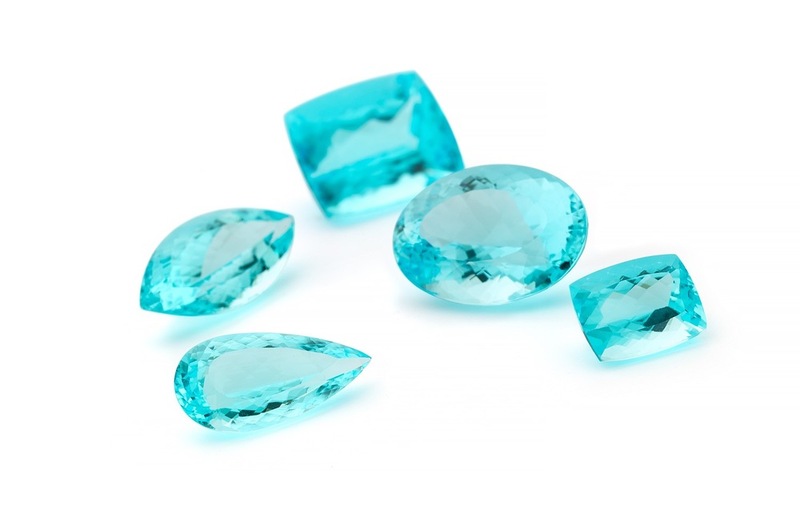 One of the rarest and most expensive varieties of aquamarine are gemstones with a deeply saturated blue，color beryl known as "Santa Maria." They are named in honor of Santa Maria de Itabira, which is the site in Brazil where the first such stones were discovered in the 1950s. The appearance of a gem is a combination of separate factors, each of which is related to, and affected by, the others. It is precisely the complexity of these relationships that makes quality. Tsavorite is a variety of the garnet group. The shining green tsavorite is a young gemstone with a long geological history. Vivid, radiant green of color, top quality is rare and hard to find. I will be happy to inform you about gems during a visit at the boutique in La Butte aux Bois. Mandarin Spessartite Garnet is a rare orange garnet, referred to as Mandarin for its orange color. The combination of color and garnet's high refractive index make mandarin garnet one of the most brilliant stones in the world of colorstones. Pure orange known as fanta orange, is very rare and has been found in a few mines in Africa. Top Mandarin Garnets are sought after by collectors. Fine Color Quality Watermelon Tourmaline. Sought after by collectors.